These cookies are a staple in our family around the holidays. 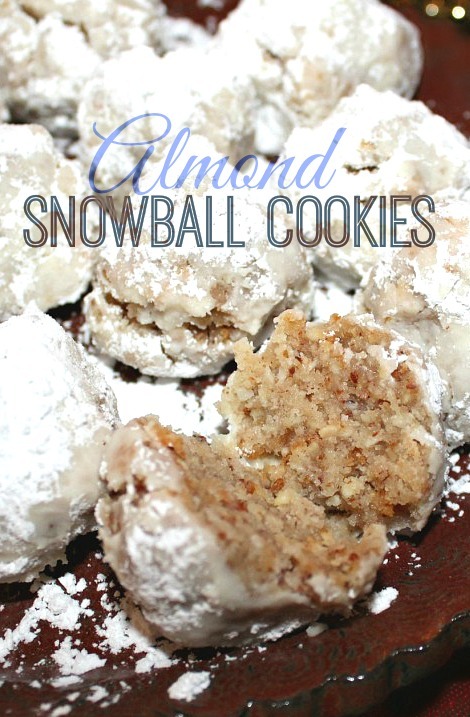 Most people make their snowball cookies with pecans, but my mom always made hers with almonds. I love the unique taste and texture of the almonds and it gives the cookies a little something extra. The cookies will simply melt in your mouth and good luck just eating one! 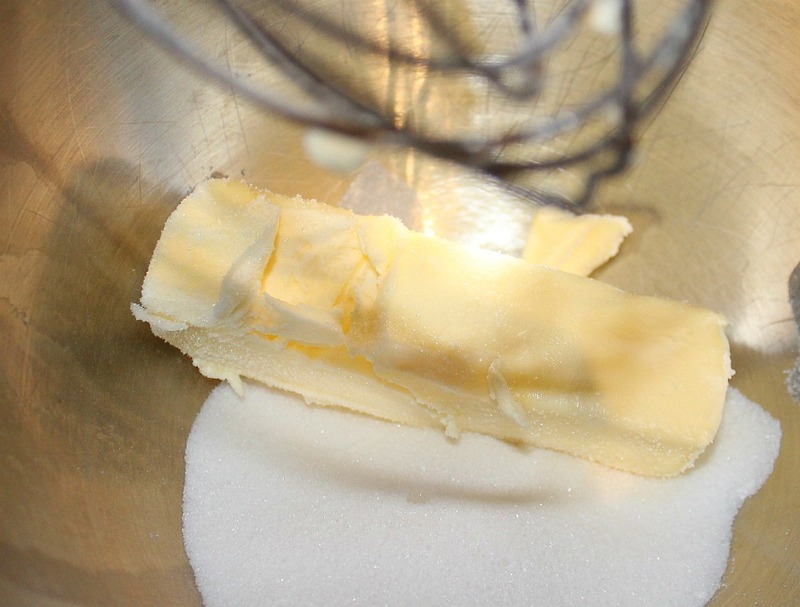 Cream butter and sugar together using an electric mixer. Make sure there are no butter lumps. 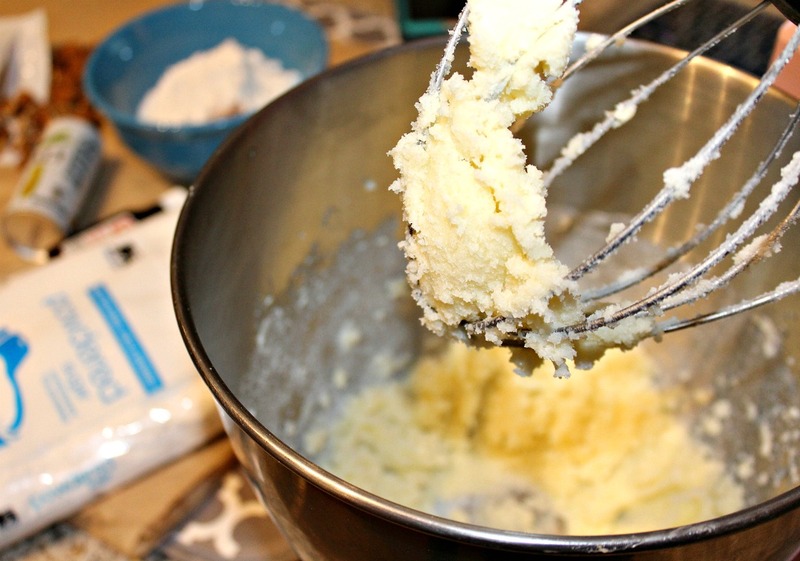 Use room temperature butter for a better consistency. 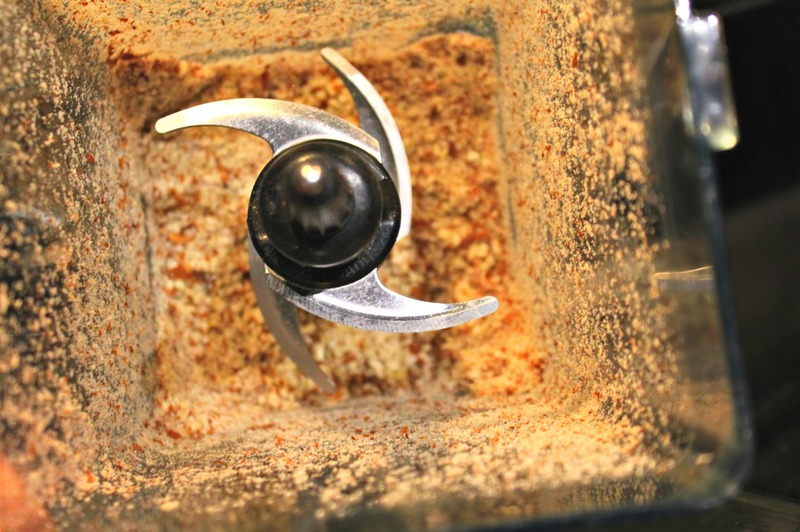 Grind almonds (or use almond flour) Mix in the flour, cinnamon, pecans, and salt to mixer. 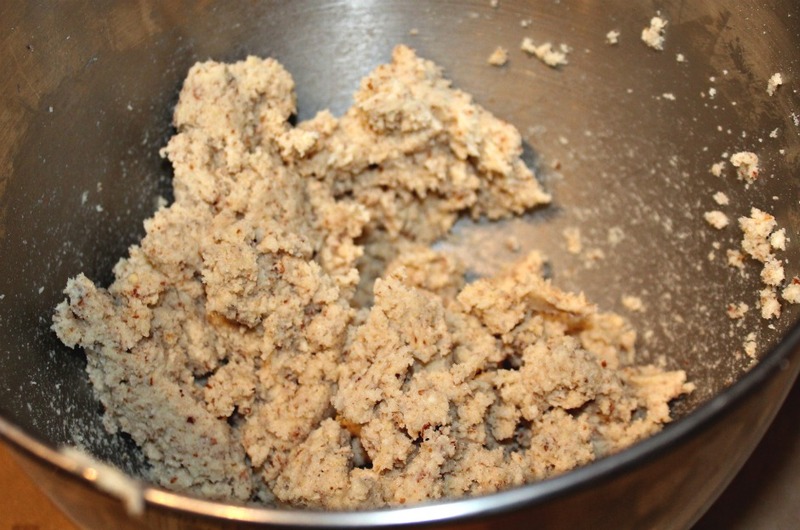 Cover and refrigerate dough for approximately one hour. 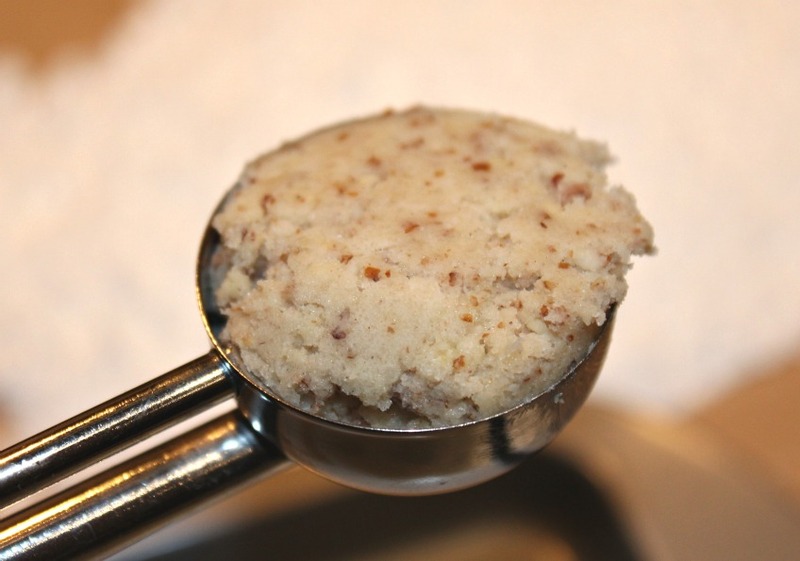 Scoop tablespoon sized dough balls onto a baking sheet and form them into a ball. Bake 12-14 minutes and allow them to cook completely. 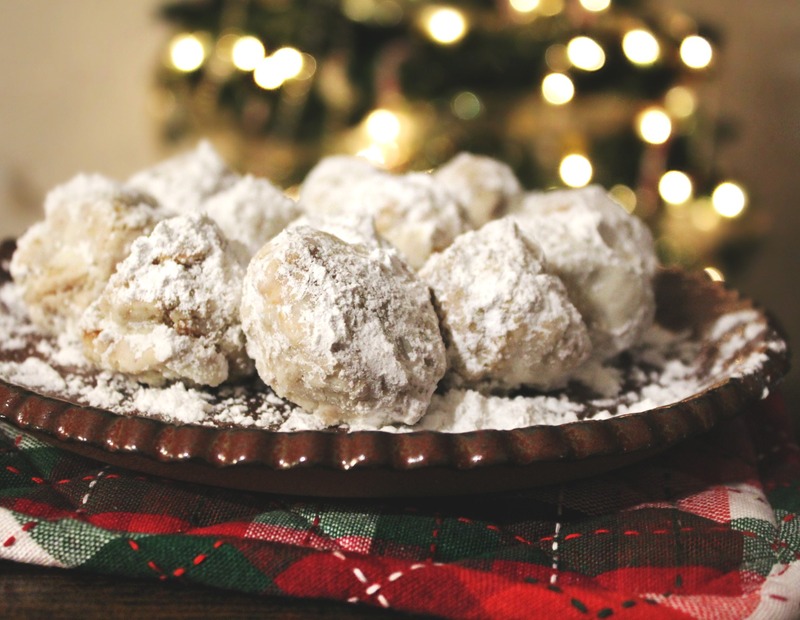 Coat the cooled cookies in powdered sugar. I also think they taste good when they are coated in powdered sugar before they go into the oven, but its totally up to you! These cookies are a stable in our family around the holidays. 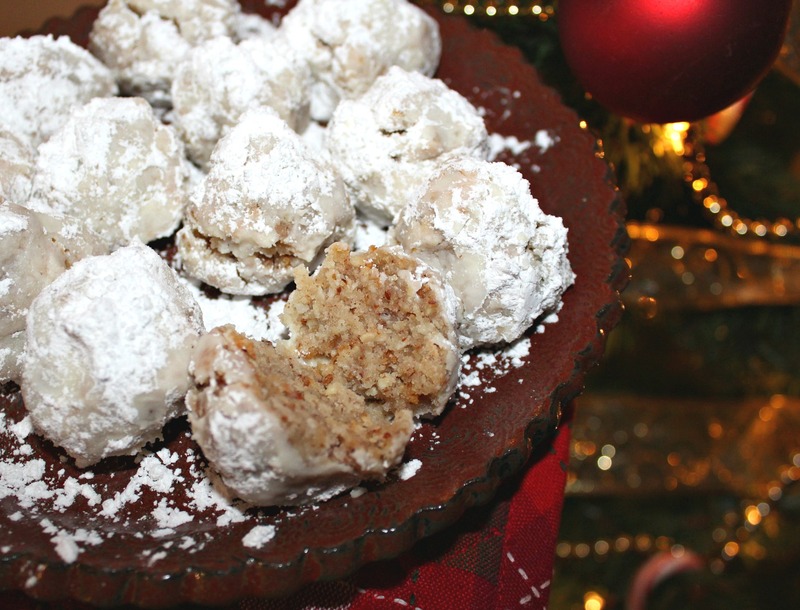 Most people make their snowball cookies with pecans, but my mom always made hers with almonds. I love the unique taste and texture of the almonds and it gives the cookies a little something extra. The cookies will simply melt in your mouth and good luck just eating one! 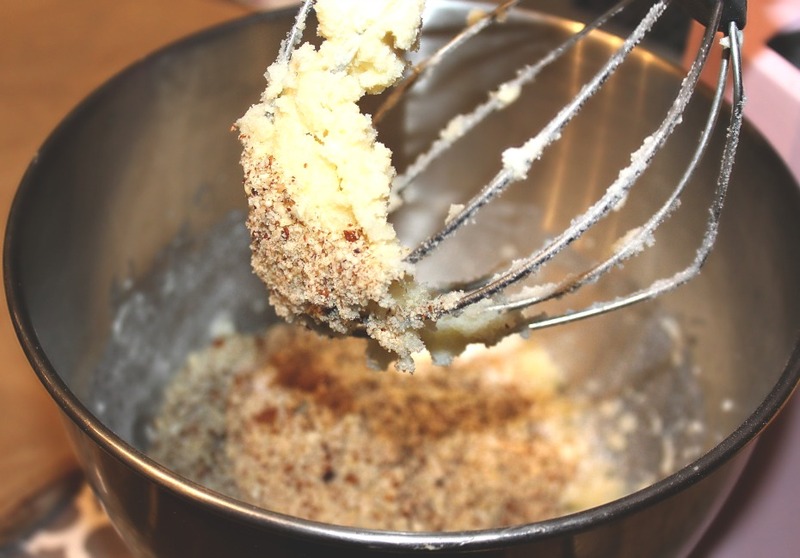 Mix in the flour, cinnamon, pecans, and salt to mixer. 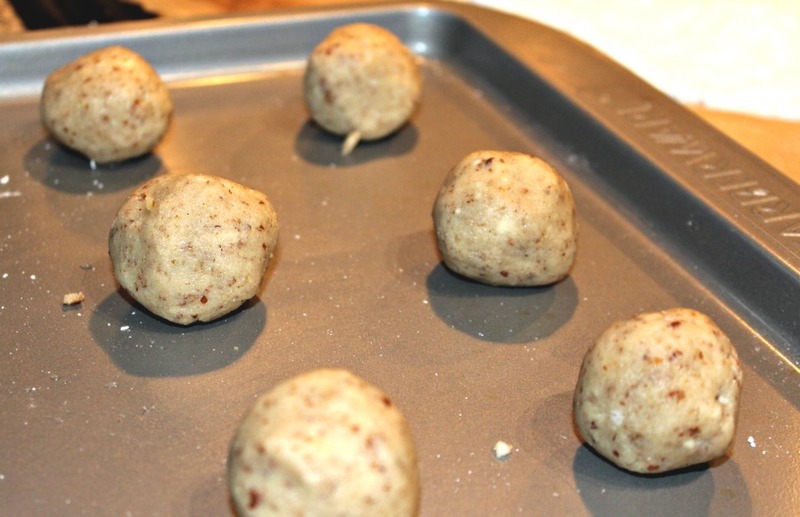 Scoop tablespoon sized dough balls onto a baking sheet and form them into a ball. Bake 12-14 minutes and allow them to cook completely. What kinds of cookies to you make on Christmas? What is the most Christmas-y thing you’ve done this holiday? Hey Taralynn these look so good! This looks delicious! I will definitely be baking this when I get home! Yum! 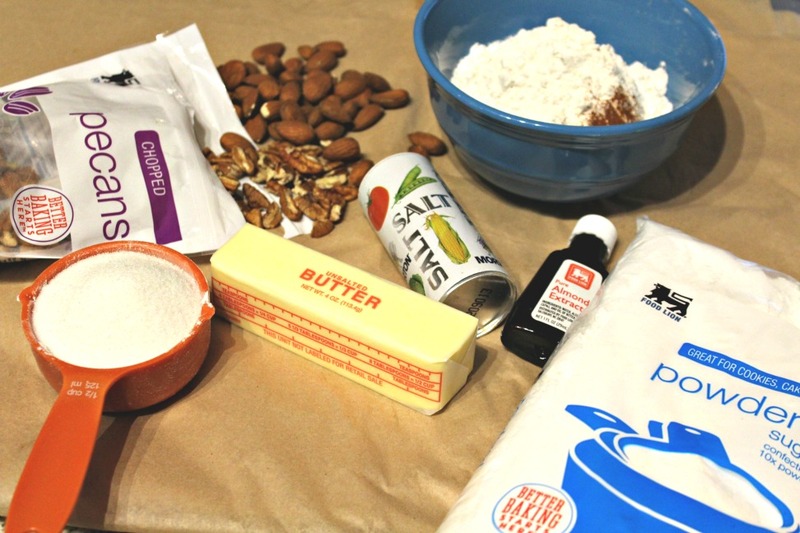 I love almonds even more than pecans so I need to make this version!! I love making sandtart cookies and chocolate chip for christmas! These were so good. Our family loves almond based cookies. We are Norwegian and always have a big cookie platter. 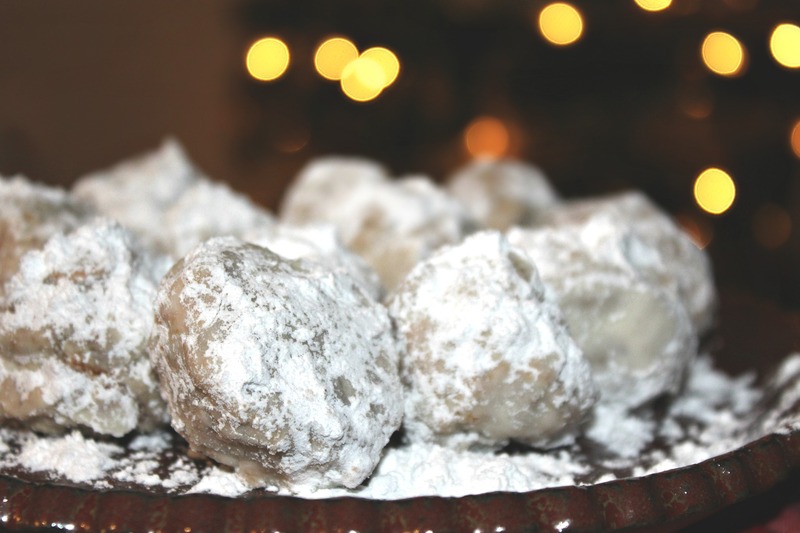 Snowball cookies are a staple but make them without nuts due to severe nut allergies. I use all crushed vanilla wafers. Hopefully some day we can use nuts again. That sounds like a delicious and CLEVER substitute for the nuts! LOVE that. This year has been a little less Christmas-y since it was spent in Hawaii. However, I did go to an ugly sweater party before we left and made gingerbread houses :). I am so inspired to make a healthy version of these delicious looking cookies! I’d LOVE to be in Hawaii! I want to make a gingerbread house so bad! I’m doing that next year for sure ! Have you ever tried making these with chocolate chips? One of my coworkers made them with chocolate chips for a cookie exchange and they were really good! Especially for me because I don’t like nuts lol! I havnt but i bet that would be so good!!! 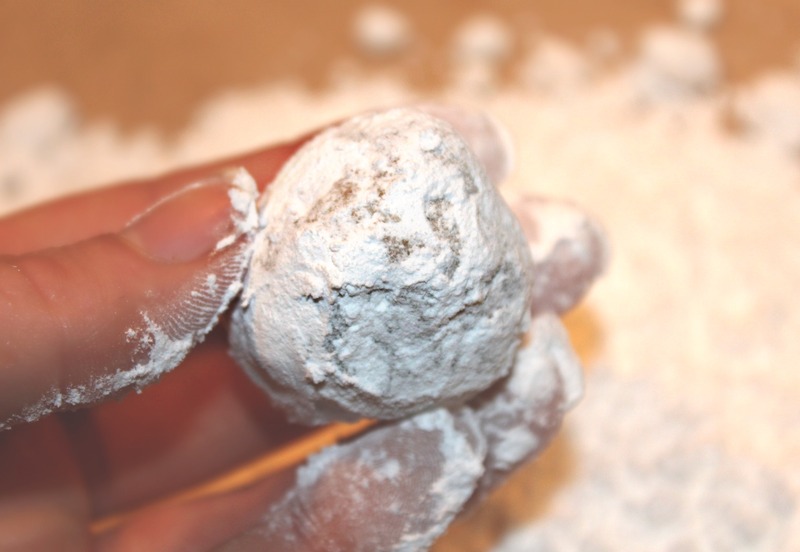 Have you ever made snowball cookies? Nope, are they like wedding cookies? What kinds of cookies to you make on Christmas? Cookies aren’t our dessert staple, pies are. But my Mom did make some cake-mix cookies this year. They were okay. I took the bath sets I got for Christmas and took the soaps and things by the homeless shelter. I have sensitive skin and can’t use most body washes but I don’t want to be ungrateful so I accept them and then give them away. We made some of these yesterday, too! But yours look like they came out way better than ours 🙂 Thanks for another year of awesome content, inspiration and positivity (and also delicious recipes). I love coming here knowing I can find all that plus more. <3 <3 Merry Christmas! 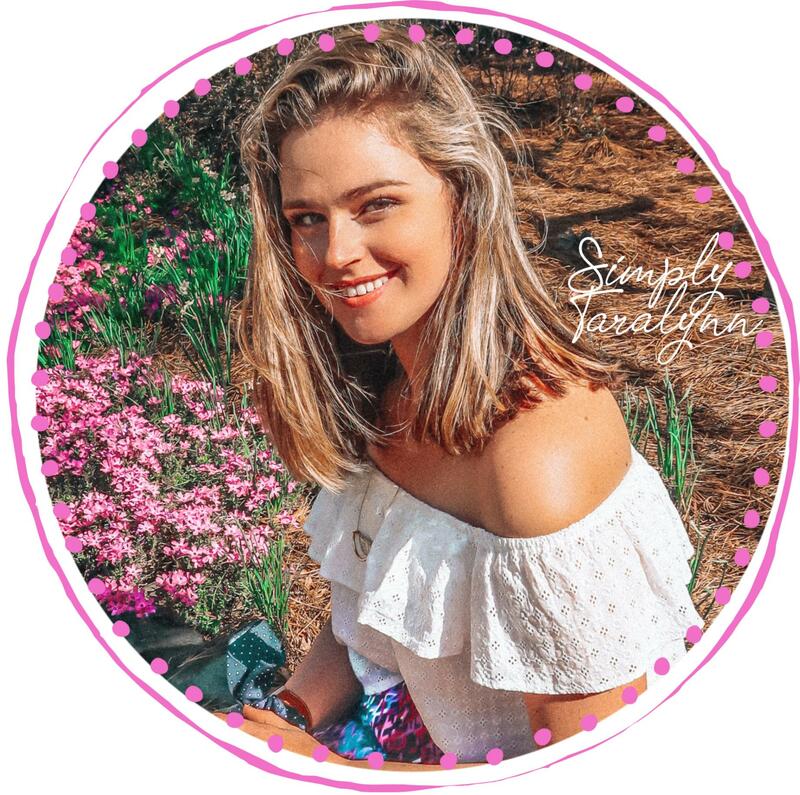 Thank you Lindsay!!! xo xo & Merry Christmas! This recipe looks great! I love almond extract so I’m super excited to try this one. However, on step #5 it mentions pecans. Did you mean to type almonds? Or are there pecans in the recipe as well? They aren’t listed in the ingredient list so I’m confused. Love these! Hope you have a wonderful Christmas Eve, are you doing the Feast of the Seven Fishes with Nicks Family tonight? I was just reading about it, and I think I need to meet an Italian family so I can celebrate it, my family is Spanish and French so we’ve got our own traditions, and my husbands family is all over the place with what they do. Have a wonderful night! 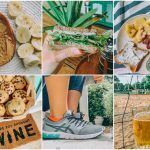 Can’t wait to see more recipes! They don’t do the feast of seven fishes but I wish they did! 🙂 I spend Christmas Eve with my family and Nick. We eat crab legs, open presents and play board games!I hope you have wonderful Christmas as well! 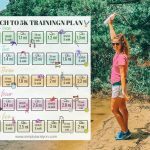 Why is there pecans in the picture if you aren’t using them?